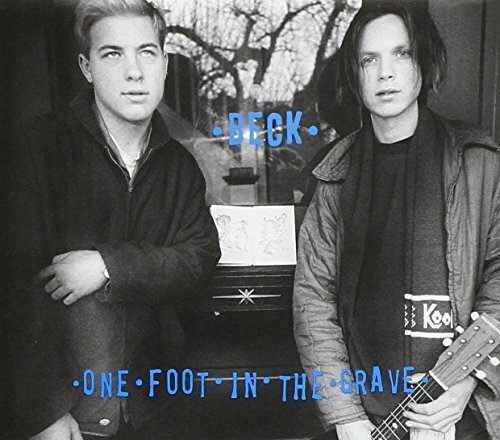 Beck’s One Foot in The Grave is an album consisting of sludgy tales. This album was released after his acclaimed debut Mellow Gold, and shows Beck in much rawer light. His early work is like an ironic celebration of a gas station youth culture and its empty bags of Doritos and beer cans full of cigarette ashes. The tempos are loose and drifty and the intonation is off, which contributes to the feel it has. Certain of itself, yet lost, and it sounds like you’re right there in the room with these guys just hanging out in a basement. It’s the sound of bored youth finding something constructive to do in spite of itself. Beck’s effortlessness has been a characteristic considered definitive of the classic 90’s slacker, but reaches further beyond that. Most of the songs here are mellow and folky, while others are raunchy and dissonant. The lyrics are witty and carry an interesting and peculiar perspective. One Foot in The Grave is an inspiring piece because of its shrewd rawness, there’s no studio trickery and no special effects to hide behind, but even with the quirky performances are pulled off by shamelessness (or innocence). I listen to this album and it makes me want to gather my friends in the basement and pull out my Tascam four track. It also makes me want to walk to a gas station and buy a beer.